Teenage employees of Splash Universe say they want to know what happened that caused between two to three dozen people to become violently sick Saturday night. 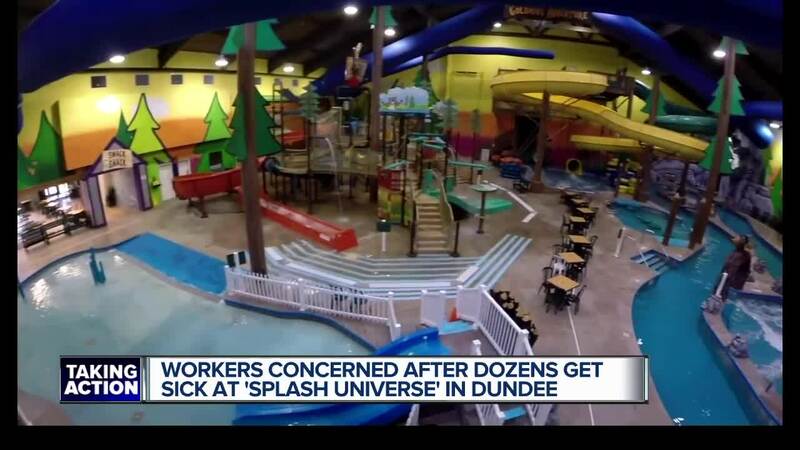 DUNDEE, Mich. (WXYZ) — Teenage employees of Splash Universe say they want to know what happened that caused between two to three dozen people to become violently sick Saturday night. “I started having chest problems and being not able to breathe right,” said Stump. People reported vomiting, trouble breathing, burning sensation and rash. “This is definitely a good reason to put in my two weeks,” said Calvin Stump who also works at the water park. Last night just before closing of the pool area Splash Universe received a compliant. Splash Universe employee's followed all the proper procedures and steps in an excellent manor. They tested their chlorine levels and they all came back normal. The safety of guest and employees are their number one priority, Splash Universe was open and fully operational today with great customer satisfaction. 7 Action News tried reached Evans on Monday to see what the exact cause of the chlorine exposure was, but did not hear back. “I want it to be investigated instead of them just saying oh it was handled properly, because it’s never its not handled properly it keeps happening over and over,” said Nicole Reinhardt. Reinhardt’s daughter works for Splash Universe. She says ever since her daughter got hired about a year and a half ago she has had health related issues. “She’s never been sick before this she uses a rescue inhaler and a daily medicines to breath since she’s worked there,” said Reinhardt. 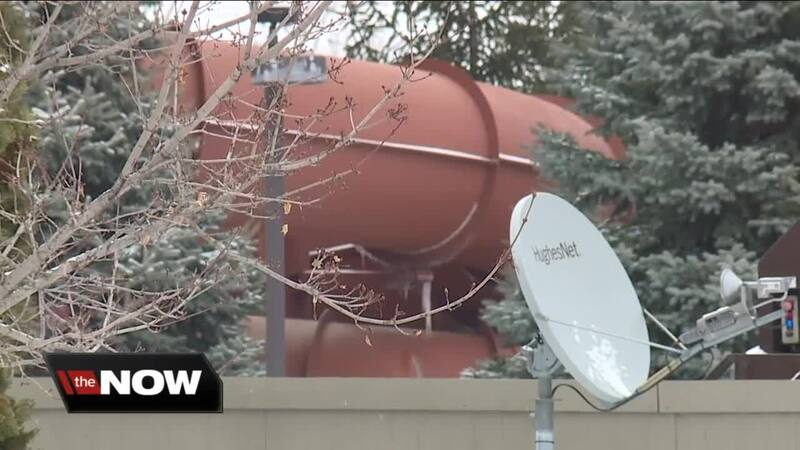 According to the Occupational Safety and Health Administration’s website, Splash Universe received six violations around this time last year. The state says employees affected by this incident should contact MIOSHA by filing a complaint as instructed in this link . On Monday a meeting was planned between the staff, parents, and the people running Splash Universe. For Reinhardt, it’s not enough to let her daughter continue to work at the water park. “We’ve talked about it she’s not going back anymore,” said Reinhardt. The Monroe County Health Department says they will conduct an inspection of the water park Tuesday morning to test the water and air quality.